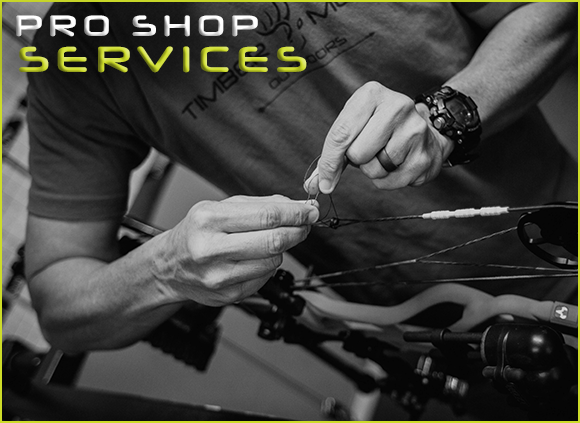 When you need to get the best performance out of your archery equipment, Let the certified technicians at Timber Mesa Outdoors help you. Our Techs strive to stay current in the ever changing world of Archery. They are bowhunters and competitive archers that constantly test equipment to know what works and what doesn’t. Whether your looking to harvest the animal of a lifetime or looking for that place on the podium, our techs can help get you there! Check for any tuning or safty issues.Check level and center shot. Install new D-loop.Rotate Peep ( if necessary) Wax strings and cables. Check ATA and brace hieght, fix cam sync/lean, check rest timing, new string loop, rotate peep if needed, wax strings and cables, check sight axis. Paper Tune by tech. Includes all benefits of a the Deluxe tune, but tuning the bow as the customer shoots through paper. Includes Deluxe bow tune, all accessory installation, proper fitting, and any peep site or other necessary adjustments. Standard rest Installation. Includes installing rest and setting center shot. Service includes, proper sight mounting, pin adjustment(s), 1st, 2nd, & 3rd axis leveling (when applicable). Custom sight tape to ensure your marks are ‘spot on’. Service includes proper installation of string & cable(s) – ensure bow is set to factory specifications. This service will also include our basic bow tune up – setting brace height, check axle to axle, fix cam lean, fix cam timing and synchronization, and paper tuning bow.